I love free stuff! Don’t you love free stuff? Who doesn’t love free stuff? I will smack the first person that says they don’t love free stuff! In all seriousness, being able to tell you about great free games makes my day. More often than not free games are mediocre or just bad. In the case of mobile or massively multiplayer online games, free usually means they are going to make you pay to actually be good at the game. Last time I spoke about Hawken, which was a neat free to play game with optional micro transactions. This time I have a free game that is none of that nonsense! It is just plain free! 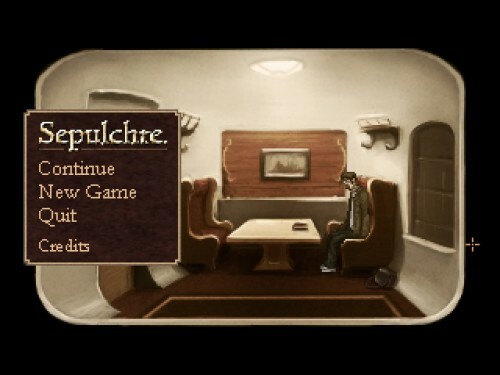 This week adventure game developer Owl Cave released a short horror adventure game called Sepulchre. It was released for free though you can buy a Special Edition for $2.99 with wallpapers, soundtrack, and a digital copy of game creator Ashton Raze’s short story collection. Well worth your money just for the digital book alone, it retails on Amazon for $4.99. If you are not familiar with Owl Cave, they are the creators of the game Richard and Alice. It is a well written and creative adventure game that came out back in February to lots critical acclaim. You can find that over at GOG.com. Sepulchre is weird, quirky and spooky. Archaeologist Dr. Lang, who wakes up on a train. He vaguely remembers that he is on his way a dig but is a bit confused. As you wander around the train trying to put his memories back together strange things happen and the other passengers are a bit unusual. For every question about Dr. Lang you put together two more crop up. Sepulchre has all the parts of a good thriller or mystery. There are very few puzzles and none of them are very hard. 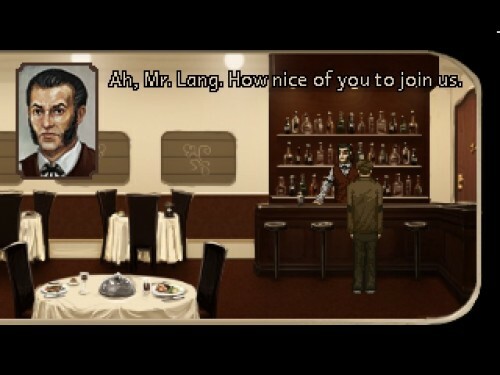 This is very accessible even to those that are not fond of point and click adventure games. If I had to say one bad thing about Sepulchre, the voice acting is good but one character does sound echoed. That is a very small flaw and is easily overlooked unless you are an audio engineer. Thankfully, I am not an audio person. The rest of the game sounds fantastic and adds to the ambiance. I was quite taken away with Sepulchre and hope that Owl Cave revisits some its ideas in the future. Maybe answer a few more question and give us a few more. Somehow, Owl Cave managed give me all the things I love about adventure games with none of the things I hate. Not an easy task. While the game should only take you about 30 minutes to an hour to finish it will not be a forgettable experience. That ending is still giving me shivers.